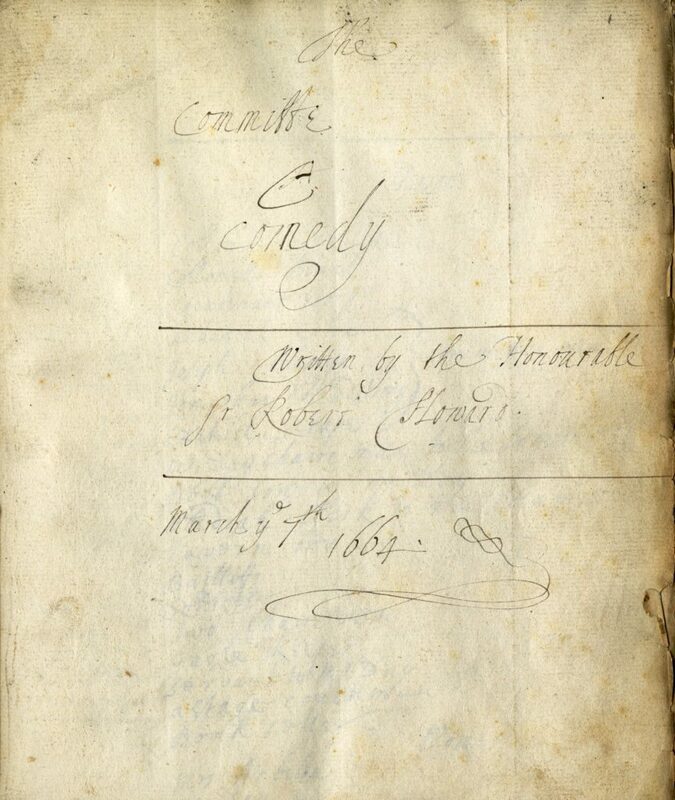 The Center/Clark has been awarded a grant from the Gladys Krieble Delmas Foundation to transcribe at least nine of the Clark’s codex manuscripts digitized through a grant from the Council of Library and Information Resources. Three UCLA graduate students from the history and English departments will be hired over the 2017 summer quarter. The students will be trained by the Clark’s Head of Research Services, Philip Palmer, in paleography and TEI (Text Encoding Initiative), specifically related to handwritten codices created in Great Britain in the seventeenth and eighteenth centuries. The venture will offer a valuable educational opportunity for these emerging professionals, yielding demonstrable work on a digital humanities project as scholars and editors, as well as introducing them to artifacts worthy of further research and discussion in a conference talk and/or publishable article. The Clark is already consulting with other institutions, such as the Folger, about the transcription and encoding of manuscript texts. This project will help pilot the transcription conventions and encoding methods used in this collaborative environment, especially different tags used for various manuscript genres. Students funded by the Delmas Foundation in 2017 will be early contributors to a project that will increase in importance over the next several years. 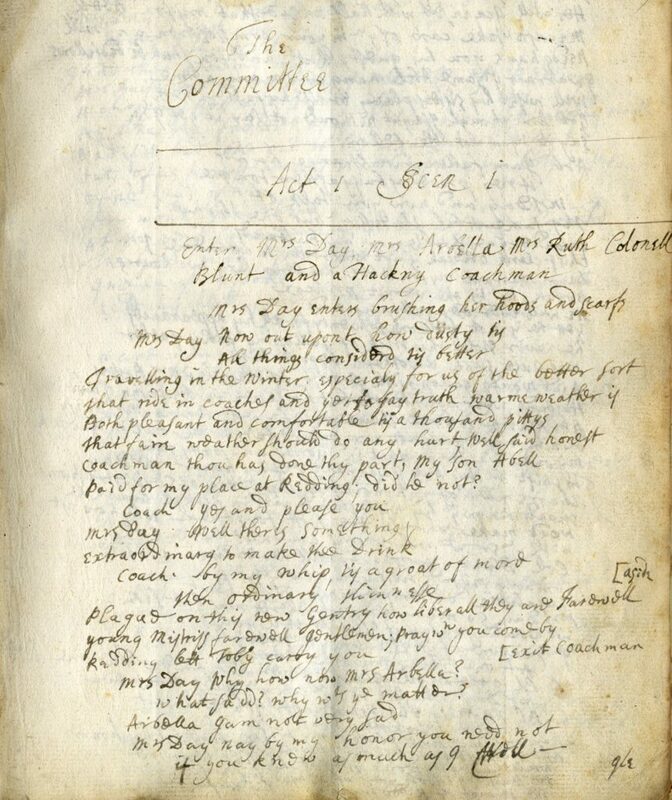 A variety of genres—commonplace books, poetry, plays, recipe books, etc.—will be transcribed in order to gain predictive information for future efforts to add searchable text files to a website currently being produced through by a grant from the Council on Library and Information Resources: the site will provide—free of charge—digital facsimiles of the majority of the Clark’s manuscript codices. 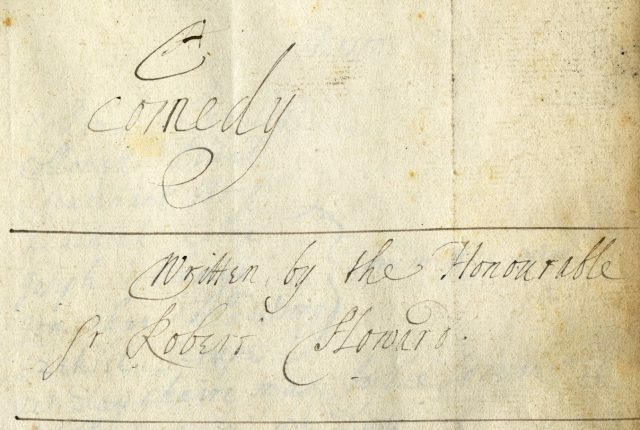 Among the items to be transcribed is a contemporary copy of Sir Robert Howard’s comedy, The Committee; Or, The Faithful Irishman. The play presents the character “Teague”—”not only one of the most popular and famous comedy acting characters on the English stage for many years, but in all probability the prototype and in a way the fore-runner of the comic Irishman of the stage today” (Carryl Nelson Thurber, Introduction, “The Committee,” University of Illinois Studies VII, no. 1 (February 1921).